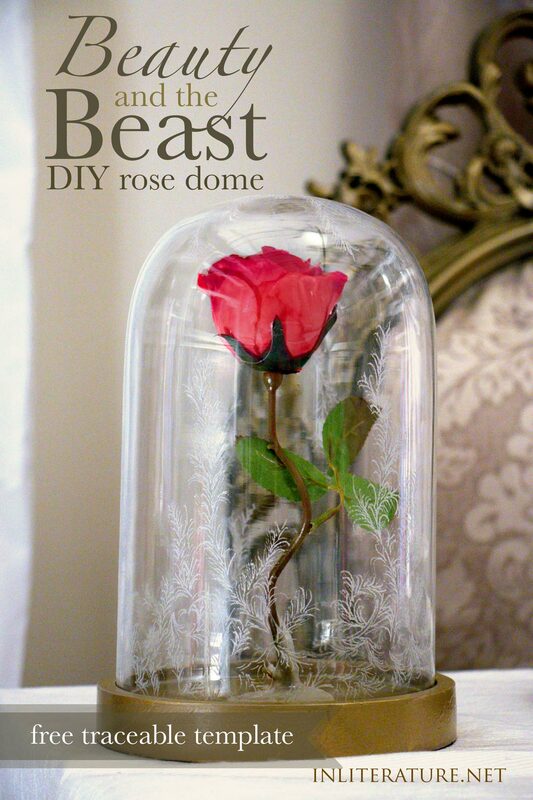 A Beauty and the Beast party wouldn’t be complete without the iconic rose dome. With this template, replicate the rose under the dome from the 2017 live-action film. 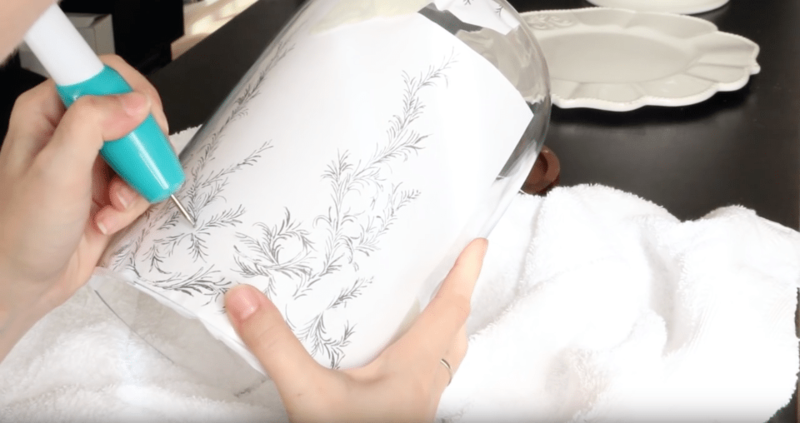 Print out the Beauty and the Beast frost template to trace on the rose dome, and using the masking tape, attach it to the inside of the glass. 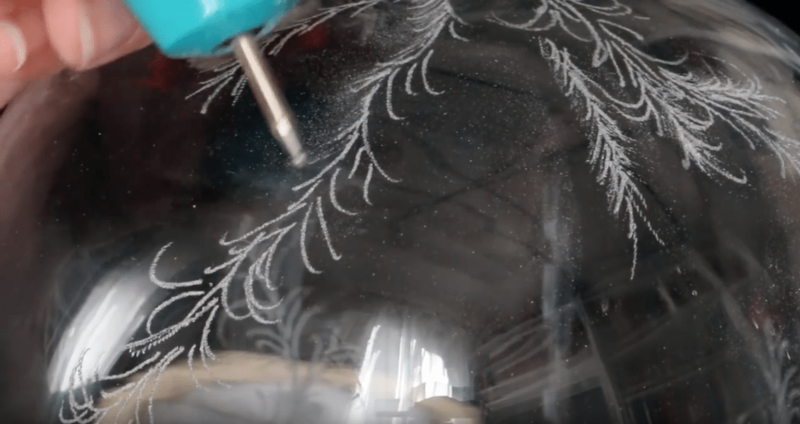 Make sure you’re wearing glasses or goggles to protect your eyes, as you’re creating glass dust when you etch. 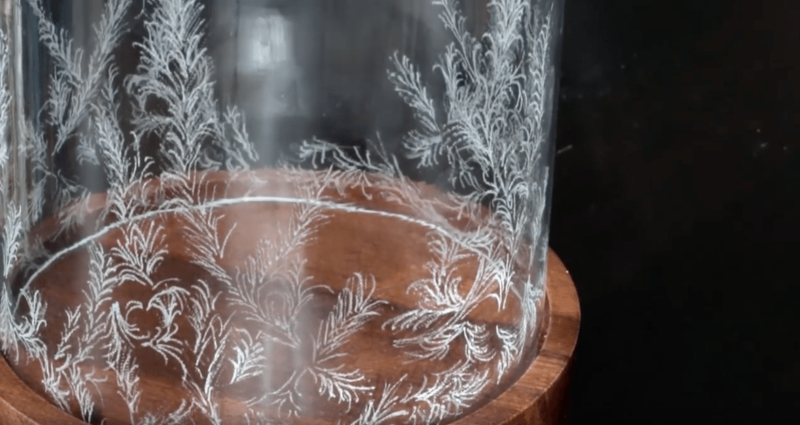 Use the template as a guide, but to get the design, ‘flick’ the etching pen while it’s running. Press slightly heavier and as you draw the line, lift the pressure, so the line tapers. As you move faster, it becomes a flicking motion. 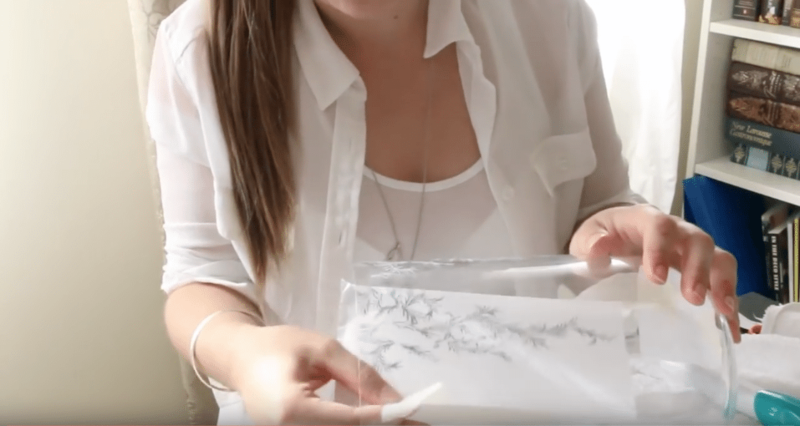 Once you finish tracing one selection, move the template and tape and repeat, until you’ve completed the base. Repeat with the top template, and use the long strand occasionally. To finish off, take the engraver over all the lines with a gentler touch so the lines seem softer. (watch the video at the end of this post to see it in action). 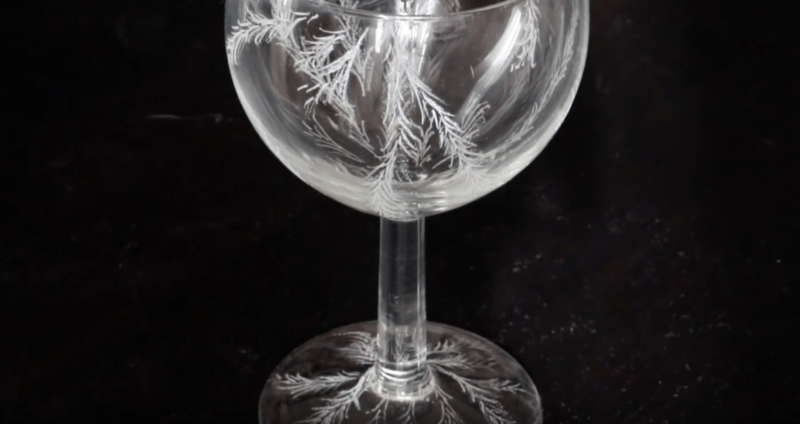 Use a damp paper towel to wipe off the glass powder. 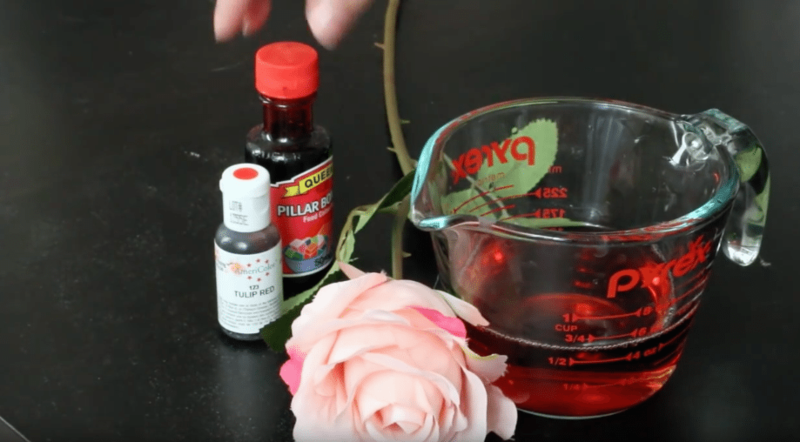 If using a pink faux rose from Ikea, mix in a glass measuring cup 1/2 cup vinegar and a capful of red food dye. Mix together, then let the rose head soak. Let dry, with the rose head hanging over the measuring cup. To attach the rose, snip to the correct height so it’ll fit standing up under the dome. Use tall sturdy items around the rose for support, and use the hot glue gun to build up support. Once dry, the faux rose will stand by itself. Shape the rose stem to curve slightly. 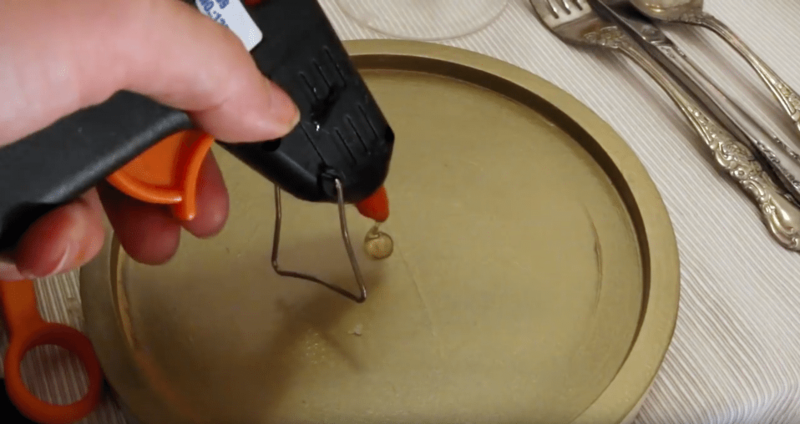 For consistency, cover the whole base with the hot glue. And voila! You have a Beauty and the Beast rome dome as a centrepiece for your themed dinner party. Don’t miss the other Beauty and the Beast crafts and recipes! 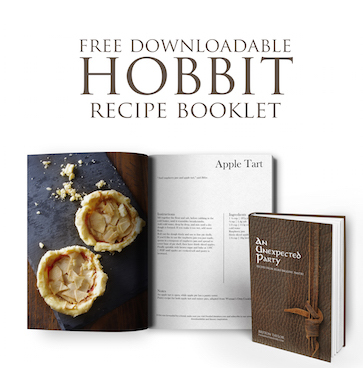 I cant find the printable template!? ?